Which Dog Food Companies Have Never Had Recalls? Pet food recalls can be upsetting, and it seems they’re happening more and more each year. Most of us consider our fur babies as part of the family. Would you knowingly serve your kids food that could have been tainted by harmful bacteria or toxic ingredients? No, of course not and the same is true when you choose the foods to feed your dog. As responsible pet parents, you look for the best, most healthy dog foods you can. You want to give your dog the best and avoid dog foods from manufacturers that have had problems on a regular basis for one reason or another. Today, we’re going to take a look at dog food recalls, tell you about the organizations that oversee pet foods, provide you with a list of dogs foods recalled this year and a list of dog foods that have never been recalled. That’s a lot of information to cover, so let’s jump right in. Who Oversees Pet Food Quality and Sets Regulations? Foods for all animals—from farm animals to our pets—are subject to local, state and federal laws and regulations. The largest federal regulator of pet foods in the U.S. is the Food and Drug Administration (FDA). Two other federal organizations include the U.S. Department of Agriculture (USDA), along with the Federal Trade Commission (FTC). One more organization that oversees pet food is the Association of American Feed Control Officials (AAFCO). The USDA deals with regulations on pet food labels, the identification and approval of pet food ingredients. They offer voluntary inspection regulations that provide some guidelines for pet food manufacturers, including how much meat should be in the product, the minimum nutritional requirements and what information needs to be included on the pet food label. Companies that choose to go with the voluntary inspection can include a special seal from the USDA to show their pet food was checked by the USDA and found to be within the specified guidelines. The FTC governs advertising and works to promote truth in advertising in all products, including pet foods. The Federal Trade Commission ensures that pet food manufacturers keep with all the regulations concerning their products, including ingredients, nutrition, etc. 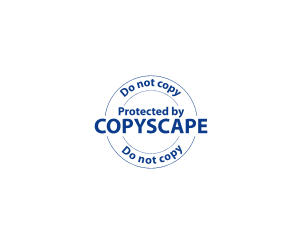 All information must be true and accurate on the label and in any form of advertising. When it comes to the FDA, they have a large hand in all aspects of pet food manufacturing. The Food and Drug Administration oversees the approval of all food and drugs for pets and their humans. Not only does the FDA ensure truth in advertising, but they also inspect pet food manufacturing plants. All pet foods must adhere to the FDAs regulations, which come under the Federal Food, Drug and Cosmetic Act. One more organization, the Association of American Feed Control Officials (AAFCO), is a voluntary association of local, state and federal agencies that work to regulate the distribution and sale of all animal foods, which includes pet foods. They also oversee animal medications and remedies. The AAFCO works to ensure that the basic nutritional needs of pets are met and that labeling is accurate when it comes to ingredients and how much of each ingredient is included in the product. The AAFCO doesn’t create laws, but their regulations are included in the laws of some states in the U.S.
What Causes Dog Food Recalls? Dog food recalls happen every year—it can be scary to learn that your pup’s food is being recalled for some contaminant or other threat to his health. Sometimes dog food is recalled because it’s been found to contain bacteria, such as E. coli or Salmonella amongst others. Not only can these bacteria be dangerous for your fur baby, but you can also be infected by handling the food, caring for your pet and cleaning up any type of sickness (vomit, diarrhea, etc.). Other potential health threats can include chemicals, foreign objects (such as ground glass, plastics, etc. ), and more. Not only that, but pet food can also be recalled due to mislabeling. For instance, if a pet food is found to not contain the ingredients declared on the food’s label; this could mean the food won’t meet your pet’s minimal nutrition needs. Or a pet food may even contain too much of a certain supplement or vitamin, which could make your canine companion sick. As you can see, there are many things that can cause pet food to be recalled. We did the research and went directly to the FDA website to find a list of dog foods recalled this year; you can find the list right on the FDA’s site. The list includes the date of the recall, the name of each brand, along with the reason for the recall. The dog food recall FDA list starts from the November of 2018 and goes through to September of the same year. Not only does the FDA put out recalls, but they can also put out warnings for dog food, too. 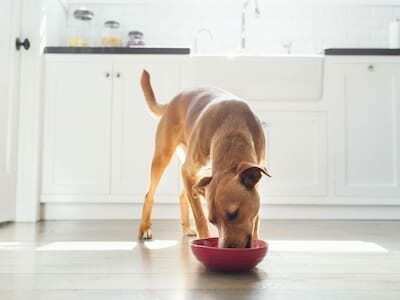 One recent FDA dog food warning came in July of 2018, when they alerted pet parents and veterinarians about the possible tie between grain-free dog foods and heart disease. The FDA has warned that canine grain-free diets containing legumes (and/or their seeds), lentils, peas or potatoes could cause a specific heart condition called dilated cardiomyopathy (DCM) in dogs. 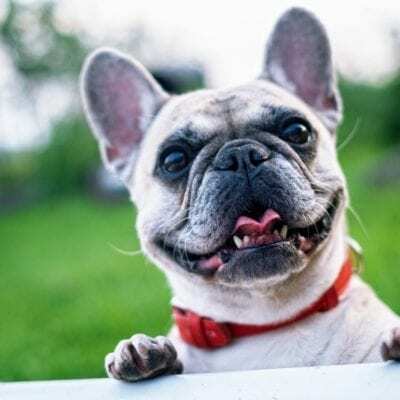 The FDA had received reports that seemed to indicate this condition had been diagnosed in dog breeds that are not usually affected by this type of heart trouble: whippets, Shih Tzu, bulldog, miniature schnauzers, Labrador retrievers and even some mixed breeds. Rather than being a recall, the FDA issued the warning as further testing and research are still needed to determine if DCM is actually being caused by grain-free diets for dogs. As you can see, the FDA has the authority to deliver warnings as well as recalls about pet foods and our pets’ health. It’s important to note that dog food manufacturers often do a voluntary recall in order to keep from getting the FDA involved. This helps the company avoid some bad press, though of course the news gets out pretty fast anyway. It just looks better when a company voluntarily chooses to let us know about possible issues with their dog food. Now let’s take a look at dog food that’s never been recalled. With the all recalls of dog food this year, you’d think there wouldn’t be any dog food manufacturers left unaffected by a recall. During our research we found that even some of the top dog food brands have experienced recalls in recent years. However, we managed to find three dog food manufacturers that have not had a recall in 2018. Earthborn Holistic Dog Food: offers a product developed specifically for your dog’s overall health. Not only that, but they work to also help the environment and the planet. They use packaging made in North America and use renewable/sustainable packaging. Earthborn Holistic dog food comes in a wide variety of formulas including the most nutritious ingredients (fruits, vegetables, and proteins) to create a diet that will keep your pup healthy through the years—with a taste he’ll find delicious every time. This formula is grain free, gluten free and contains lean bison meat protein, natural vegetables and fruits. This formula provides antioxidants, Omega-6 and Omega-3 fatty acids (for healthy skin and coat). If that’s not enough, the packaging is BPA-free and is recyclable through Earthborn’s ReBorn/Terracyle program. Zignature: is another dog food manufacturer that specializes in holistic food for your fur baby. While their ingredients are sourced from around the world, they only use the highest quality ingredients. Their dog food recipes include trout, salmon, whitefish from the Pacific, turkey from the Midwestern U.S., farm-raised duck from Western France, along with lamb from New Zealand and kangaroo from Australia. Zignature’s recipes also contain healthy fruits and vegetables from North America, along with necessary vitamins and minerals. All of their products are manufactured in Perham, Minnesota and Mitchell, South Dakota. This turkey recipe contains limited ingredients and is great for dogs that have allergies. 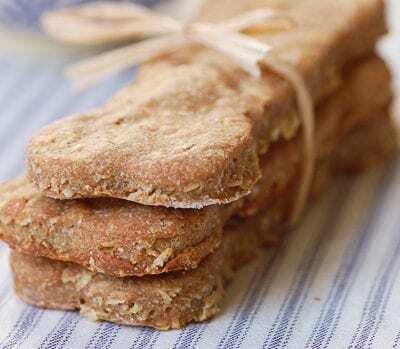 The recipe is grain free and also contains healthy fruits and vegetables safe for dogs, providing antioxidants and healthy carbohydrates for your fur baby. This recipe contains no wheat, corn, soy, dairy or chicken, chicken eggs or chicken by-products. Holistic Select: is another brand that has never experienced a voluntary or FDA recall of their dog food. They offer 5 dry foods created to provide digestive support and the nutrition your pup needs. Their formulas include guaranteed amounts of probiotics, prebiotics, digestive enzymes and natural sources of fiber. Not only that, but your dog will stay healthy and happy with the balanced nutrition provided in their recipes. All of their pet food is made in the U.S. This recipe is formulated to provide support for your fur baby’s digestive system and contains real anchovy, sardines and salmon. All ingredients are premium and natural, with no meat by-products, wheat, wheat gluten, artificial colors, flavors or fillers. Your pup will not only have a healthy digestive system, but his overall health will also be great! 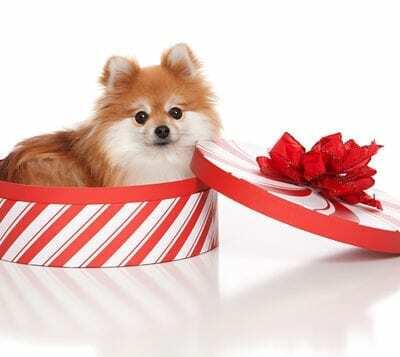 We hope this article has helped you learn more about pet food regulations, learn about the most common reasons for dog food recalls, and that we’ve helped you find some pet food products that you can rest assured are safe and healthy for your fur baby! Yeah, pet food recalls can be very upsetting, especially when it’s a company you have always trust. Not to mention that this is now happening more and more each year and it’s becoming really scary as a lot of people are now scared of buying commercial dog food! Homemade food to the rescue! I have had some issues with company foods for my dog and so we have decided to go the organic way and stick to fixing them something at home. It’s even a lot cheaper and healthier if you ask me! Jeez. There are quite a number of companies on this list I really didn’t know they were recalled! I guess one just have to always stay updated about this just so you don’t go buy something would regret giving to your dog! Wow. This is a lot of information covered in one place. I have actually taken notes of all the bodies in charge of pet foods for research purposes. I’m really glad to have found this post and at this time!